Karnataka, a state on the western coast of south India, is home to a wide variety of pristine locales for travellers to choose from. Delegates from across the world heading to Karnataka for the Pravasi Bharatiya Divas 2017 will get a chance to explore these destinations in the state. The Indian diaspora, getting together on January for the Pravasi Bharatiya Divas (PBD) 2017, will be offered special tours of destinations in Karnataka as they head to the state capital, Bengaluru. Karnataka State Tourism Development Corporation (KSTDC) is offering special packages to the Persons of Indian Origin (PIO), Non-Resident Indians (NRIs) and other delegates to the event, with a wide variety of options to explore Karnataka’s culture, heritage and natural beauty. Around 3,000 overseas Indians had gathered at the previous PBD in Gujarat in 2015, and this time, with much more expected, Karnataka will welcome them with open arms in the first week of January 2017 and offer the possibility of exploring the state. Karnataka tourism, through the services of KSTDC which include buses, tour packages and short trips with diverse itineraries such as Srirangapatna and Mysore as main points or the Bandipur Tiger reserve as another option, there is something to see for everyone. Even the city of Bengaluru, being a culturally diverse place, will be covered with local sights and tourist attractions to be shown. The Bannerghatta Biological Park and Jungle Lodges camp, both great options for nature lovers, will also be explored. Karnataka is home to natural, historical and cultural sights that attract visitors from all across. With destinations such as Bandipur forest and Nandi Hills at a very short distance from the capital city Bengaluru, these places are easily accessible. The Golden Chariot, one of India’s most luxurious train services, has also put on offer a customised itinerary for those attending the PBD. For a lazy yet royal experience of exploring, the route covers Bengaluru, Mysore, Hospet and Hampi. These are the most popular tourist destinations in Karnataka. 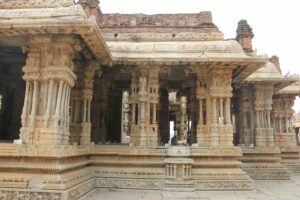 The International Society for Krishna Consciousness (ISCKON) temple, an iconic heritage spot for the religious/spiritual tourists and lovers of architecture, is located in Bengaluru and will be on the itinerary for those availing the Golden Chariot’s special offer, alongside a visit to the UNESCO world heritage sites in Hampi. Redefining Engagement with the Diaspora is the theme of the upcoming PBD event and with a unique opportunity to travel to the best destinations in Karnataka, the Indian diaspora can look forward to a new way of rediscovering their roots and the country.